The chairman of the Parliamentary Committee on European Affairs, Artan Grubi, postponed tomorrow’s committee session, where they were meant to discuss the draft law on the use of languages ​​at the second reading, said the Commission. The statement did not explain the reason for the cancellation of the session, which was due to take place on November 22nd – the Day of the Albanian Alphabet. As for the date when the session will be held, it will be additionally announced. The postponement of the session comes a day after EU Commissioner for Neighborhood Policy and Enlargement Negotiations,Johannes Hahn said the government should focus on the priorities for which it will be reivewed, and Brussels is not seeking the law on languages, nor is it part of the Przino Agreement. The President of the Commission for European Affairs, Artan grubi, postponed today’s session of te Commission about the Law on languages in order not to defocus te public from the urgent issues. -I assessed that this week will be significant for other reformatory issues and I postponed because of that in order not to defocus the public from what is at the moment most significant and urgent – said Grubi. He stressed that the postponement is not related to yesterday’s statement by the EU Commissioner Johannes Hahn that the government should focus itself on priority reforms for which it will be evaluated and that the Law on languages is not part of the Przino Agreement nor is something that Brussels demands it. Last week, the MPS have voted with 66 votes “for” and 41 “against thus giving approval for the draft bill for the Law on languages to go for a second reading, and for now 90 amendments were submitted so far out of which 84 were submitted by VMRO-DPMNE, 4 by SDSM and 2 by Besa. 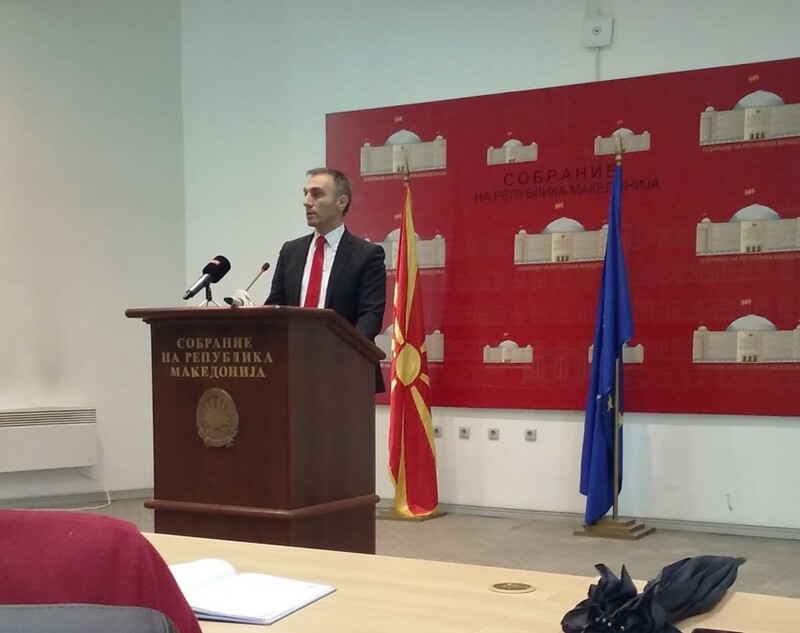 One day after Hahn’s statement, the opposition party VMRO-DPMNE demanded that the European flag be removed from the law.